Why Should Plastic Membership Cards go digital? Home/Blog/Why Should Plastic Membership Cards go digital? Studies predict that nearly 73% of the smartphone users love to get things right on their mobile phones, so why not ease the membership module for them? By this, I don’t mean that plastic cards are no more of use. Yes, it does have its own perks. A plastic card comes with personal details of the member which is good when the members have to flaunt it to others when introducing them to the friends or family. But it surely has its limitations and other challenges and you must be aware of it. If not, then don’t worry; I will let you know. Below I will sum up few of the points that will make it clear for you to understand why should plastic membership cards go digital! Let’s continue reading…. So what membership system do you use? Altru, Raiser’s Edge, Raiser’s Edge NXT, Fundly CRM, Versai or any other membership system, since we integrate with most membership systems. Perhaps this is what you think every other day and your museum staffs start making the calls by informing the members to get their cards renewed. Isn’t it? But this isn’t the case with the Digital Membership Card. The solution is so smart that it lets you focus on the other tasks by eliminating the burden of calls and e-mails. The automatic renewal reminder will start notifying the members 60 days prior to the expiry date, which would make it easier for the members to get the card renewed just by few clicks. No… No… they don’t really have to wait for other 2-3 weeks to receive the renewed membership card. With quick e-delivery, the membership card will be delivered to their mobile phones within few hours. How handy is that! Not only this, but museums will be able to save a lot which used to be spent on printing, separating, matching with the letter, stuffing envelopes, mailing, supplies and staff time. With so many cards, you can let your members carry one less card in their wallet. After downloading the membership card, the Apple users can simply add the card to their Apple Wallet. This means even after uninstalling the app, they would still have the access to the card. The wallet card pops up on member device, as soon as member comes in the vicinity of Museum. Wahoo… This is so feasible!!! So these were few of the advantages of a digital membership card over the plastic card. There are many others which I haven’t covered here. If you are a museum and facing any challenges, then talk to our expert who would guide you-why you should opt for a digital membership card for your members that comes with a number of perks. Don’t just on the words, feel free to reach us. Previous Previous post: How can an app reduce teacher’s workload in the museums? 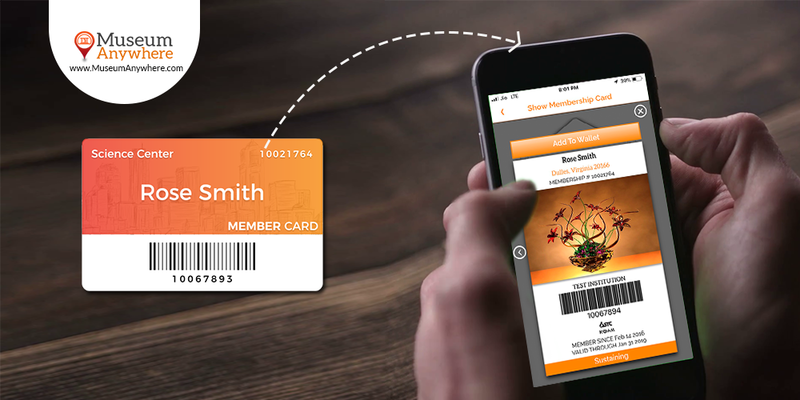 Next Next post: Reasons why Mobile Wallet Is the Best Place for Digital Membership Cards!